Carmacks teamed up with CIMA+ to prequalify and propose for the design and construction of a single lane bridge structure included in this contract. The general scope of work was to Design/Build a new single lane bridge that would allow light traffic and emergency vehicles to enter into the terminal yard without disrupting traffic on the seven rail lines that it would span. 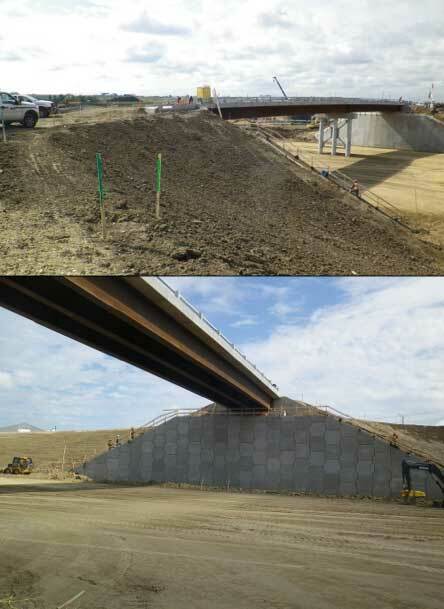 Carmacks and CIMA+ worked cooperatively to design and propose an economical single lane steel girder bridge with a precast concrete deck and MSE walls. Detailed design work commenced immediately upon acceptance of the proposed design and awarded the contract. Construction of the bridge started in May 2014 and work was completed in August 2014 – on time and within budget.